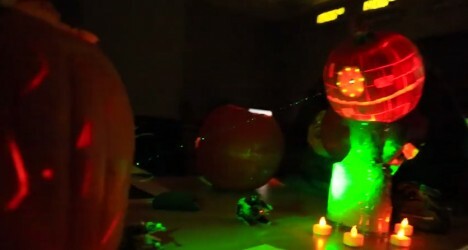 What do you get when you task some of today’s greatest scientific minds with creating awesome jack-o’-lanterns? You get monsters, mechanized wonders, insane details – and, oh yeah, lasers. 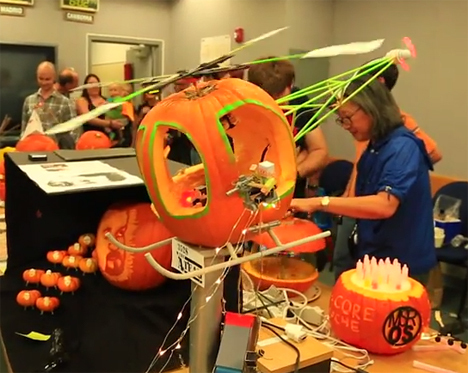 The brainy folks at NASA’s Jet Propulsion Laboratory had one hour to go to town on some pumpkins, and they created some totally amazing stuff. 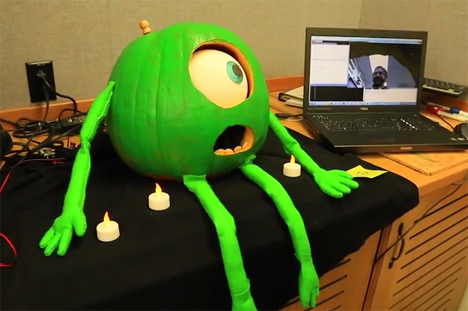 The pumpkin carving contest is detailed in the video above from Mark Rober. 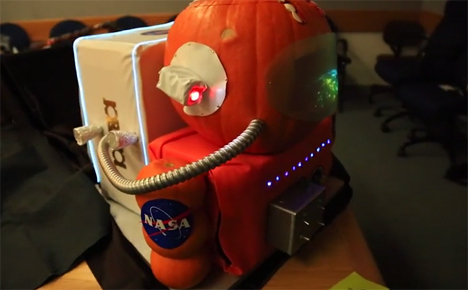 The video eventually turns into a commercial for Audible, but before that it shows the crazy level of effort the NASA teams put into building the most outrageous pumpkin creations ever. As Rober points out, the pumpkin contest was held on the teams’ dime, not the taxpayers’. Although they only had an hour, they used complex tools, plans and techniques that totally put our own jack-o’-lanterns to shame. See more in Art of Tech or under Technology. October, 2014.